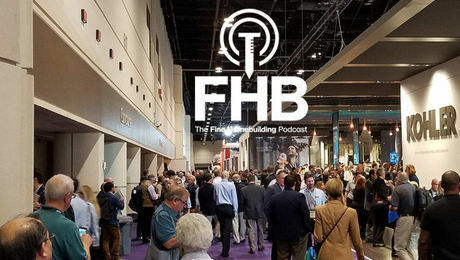 Just like interior trim, siding and exterior trim details go a long way toward defining the architectural and stylistic character of the house. What’s on the outside of the house is the very first thing visitors are going to see, instantly creating an impression that’s positive or, well, not so much. 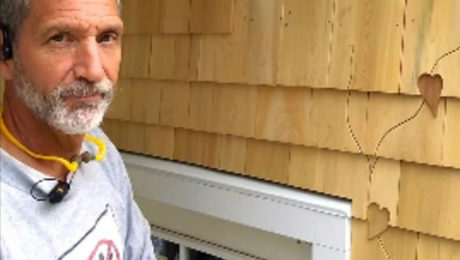 Carpenters will need a variety of trim carpentry techniques in order to tackle this important building element: how to install siding, how to paint siding, even how to remove siding when it needs replacement. 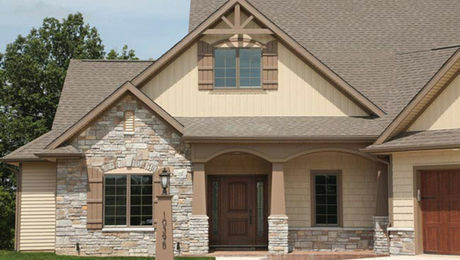 Choosing colors, and combining different types of siding, are important design skills. 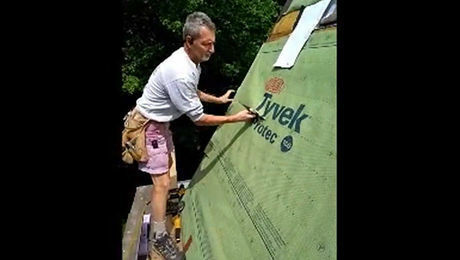 Back in the good old days, builders had relatively few choices when it came to choosing a type of siding. There was brick, pine clapboards, cedar shingles or shakes, and possibly board-and-batten in a locally available softwood. These days, a builder might still choose one of those standbys. But the question now may be how to install vinyl siding, or whether vinyl siding can be painted. In some parts of the country, choosing a fire resistant siding is essential. 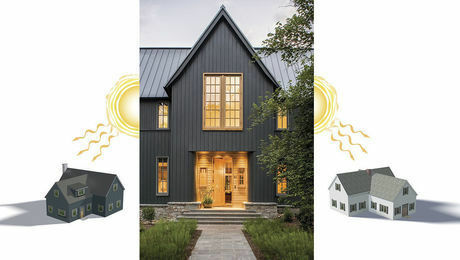 Builders having trouble locating high-quality cedar shingles may turn to vinyl cedar shake siding, or fiber cement that looks just like western red cedar. Each option is a little different, not only in cost and appearance but how it’s installed. Exterior trim presents many opportunities for stylistic expression. Modern designs are clean and precise. Craftsman Bungalows and stately Colonials are still going to turn heads when the builder gets the details right. New materials like vinyl and fiber cement offer a level of weather resistance and low maintenance not possible a generation ago. 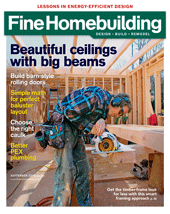 Whatever your preference, Fine Homebuilding authors have the experience to show you how. 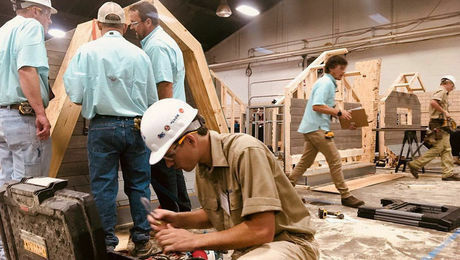 Students showcase building skills in competition. 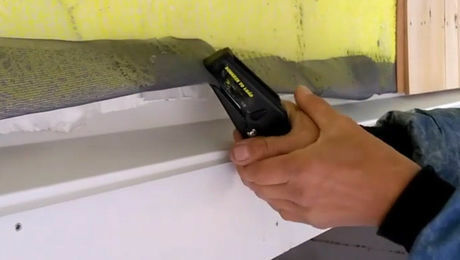 Cutting housewrap and underlayment with scissors, faster and safer than with a knife. 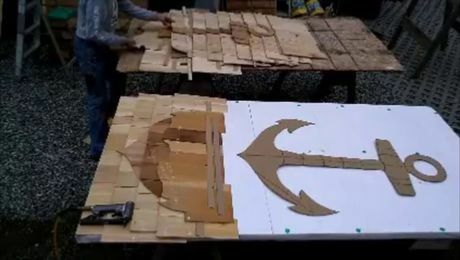 An eye-catching cedar shingle design may look complicated, but it's easy. Screen crimp, stapled around a rainscreen matrix, is easy to install and necessary to keep insects out. 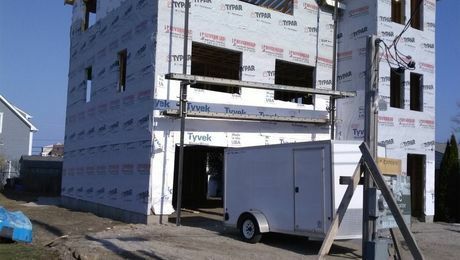 Fiber cement repair, rough inspection, net-zero homes, badly designed roofs, repairing rot with epoxy, crawlspaces, and drywall returns. 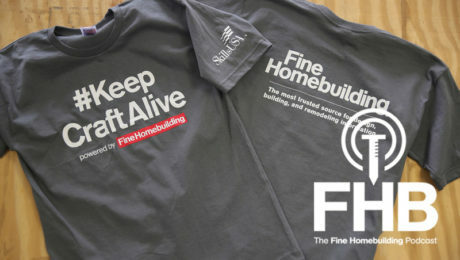 Addressing the skills gap with a race-to-the-bottom trend in making "easy-install" products. Polyurethane crossheads, corbels, columns, and other millwork items made by Fypon offer a custom look.